Ricardo Molina and George Wilson going for the ball. 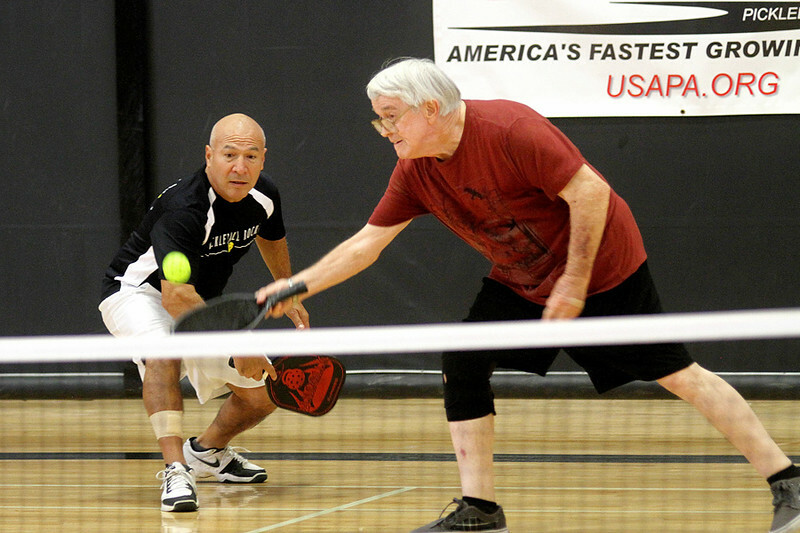 Pickleball players enjoys the game on regular basis at the Pearland Recreation Center. Photo by Pin Lim.